Microsoft Server 2016 Licenses for the latest and greatest operating system from Microsoft, Windows Server 2016! Aventis Systems offers licensing in Essentials, Standard, and Datacenter here! 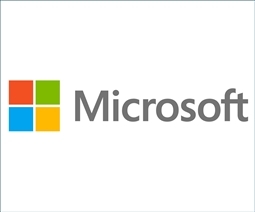 Microsoft Server 2016 User and Device CALs to get your users or devices licensed to connect with your Windows Server 2016 host, and stay in compliance with licensing terms. Shop our User and Device CAL options here! Microsoft Server 2016 Remote Desktop Services CALs for if you need your users or devices licensed to connect with your Windows Server 2016 Remote Desktop Session host! Shop our RDS User or Device CAL options here! Aventis Systems offers Microsoft Windows Server 2016 in Essentials, Standard, and Datacenter Edition with licensing bundles in 2, 8, 16, 24, and 32 core packs, as well as CALs and Remote Desktop (Terminal Services). Open Business perpetual licensing is offered both with and without Software Assurance. Browse our Microsoft Server 2016 licenses and CALs below. Looking for more Microsoft products or VMware & Veeam virtualization solutions? Please check out our selection of Microsoft, VMware, and Veeam, products today.